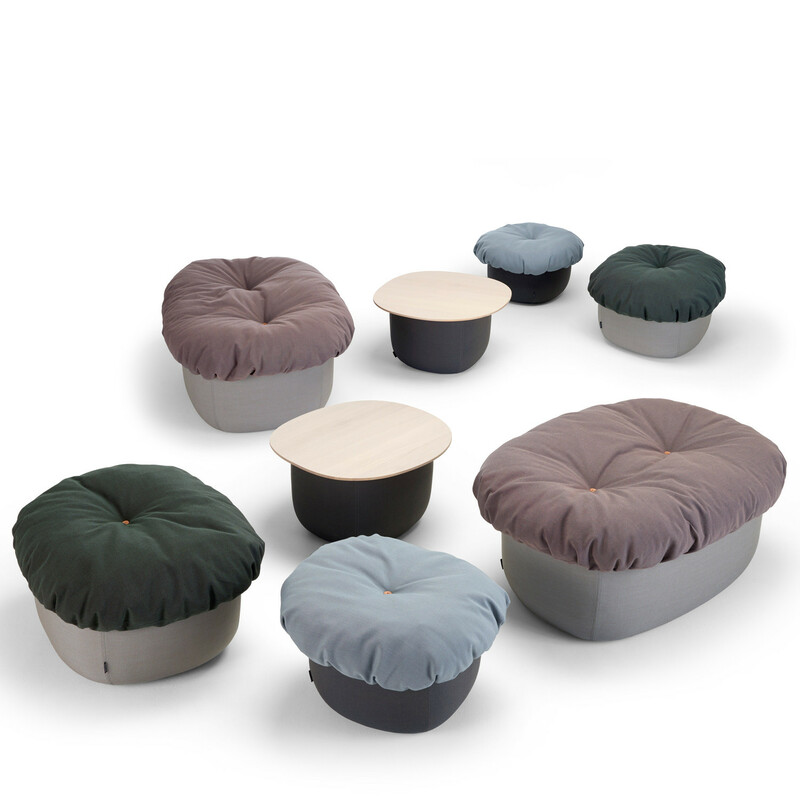 Soufflé Poufs is a family comprising of three different sized soft seating stools and a table designed by Ceciie Manz. Each Soufflé is constructed using a wooden frame with cold foam and sea bird down. Soufflé Poufs are upholstered in divided fabric or leather depending on your specification. Standard leather Elmo Soft. The Soufflé table top is finished in white pigmented massive ash, with bevelled edges. Button Ø25mm in nature or dark brown leather. You are requesting a price for the "Soufflé Poufs"
To create a new project and add "Soufflé Poufs" to it please click the button below. To add "Soufflé Poufs" to an existing project please select below.